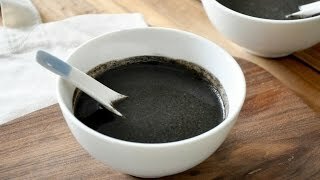 Do not let its appearance put you off. 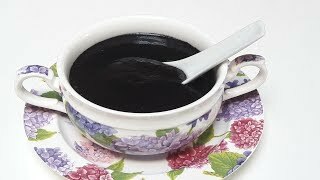 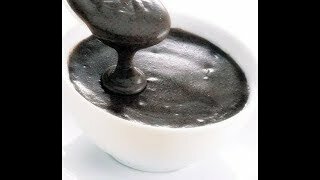 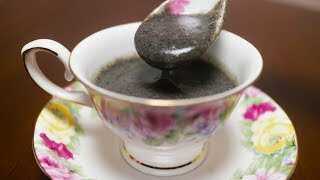 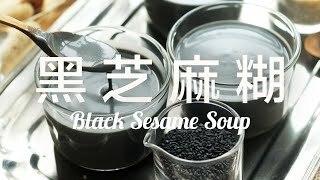 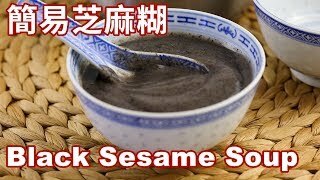 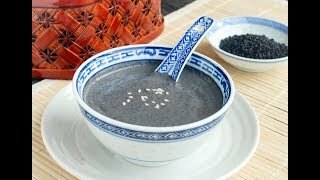 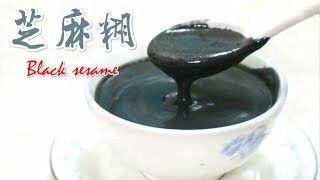 This is a sweet dessert made from ground black sesame, rice, water, and syrup. 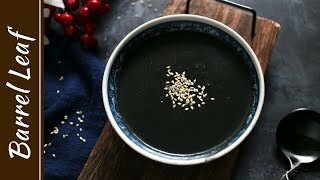 Typically served hot, this soup-like dessert has a rich, savory, and complex taste.